Arcumeggia is a small village, 570 metres a.s.l. in the municipality of Casalzuigno in the Valcuvia valley, known as “painted village”. Back in 1956, the Provincial Tourist Office of Varese came up with the brilliant idea of painting a village in a classic and modern syle. They arrage the event “Artists on Holiday”. 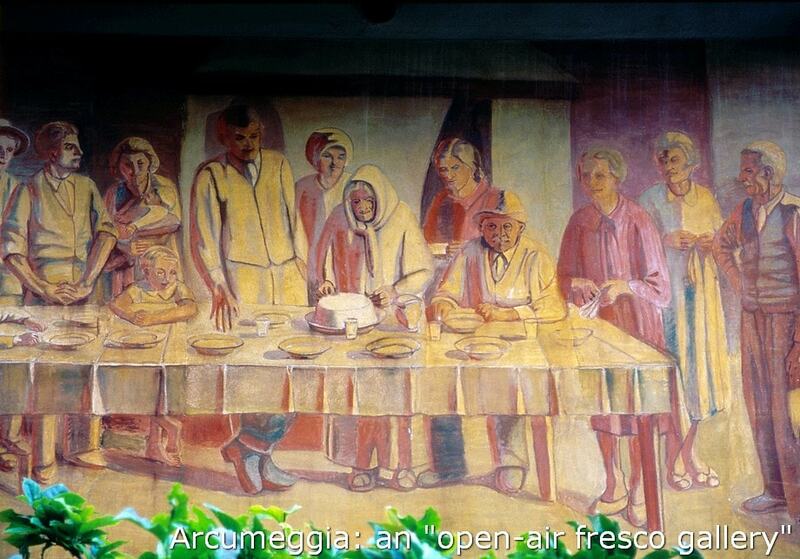 During this event Italy’s most important contemporary painters decorated the external walls of the houses with frescoes. Approximately forty works were completed by painters. The frescoes have been continued recently by other artists. The walls of the houses are decorated with scenes depicting everyday life, popular saints and well-known religious events. The paintings were executed over a relatively short period of time but experiences, tastes, predilections and choices differ according to the different personalities of each artist. Walking across the village and its courtyards can encounter a rural environment that has been kept virtually intact. 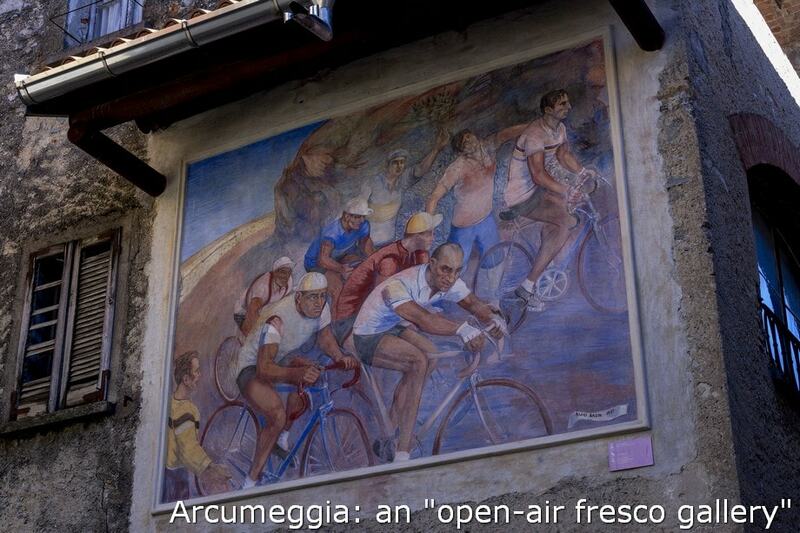 You can see a fresco showing cyclists as well. During your cycling holiday you can climb up there by bike throught two cycle routes: from Porto Valtravaglia on the Lake Maggiore or from Casalzuigno in Valcuvia Valley. Both climbs are 3km climbs averaging 8% approx.